Many of you have faced the problem of accessing the files created with previous Windows installation. They simply deny to to get copied, moved or modified even from Administrator account under Microsoft Windows 7. There is a procedure to move the file or folder and to implement it in administrator mode via its properties in Windows 7. Handling such a situation is a bit annoying and it quickly becomes tedious if it involves many files. There are some registry tricks that allows you to add a context menu option to retrieve those files upon a single right click. 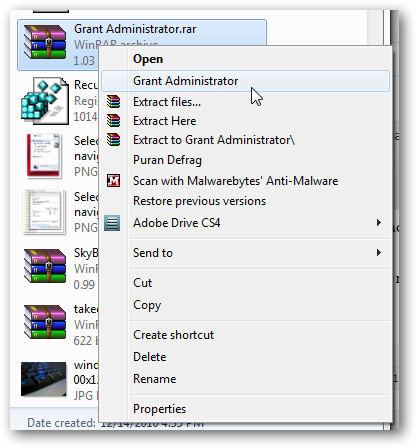 Just a bit tweaking results in three types of registry entries: Grant administrator, Forcing owner entry (also known as take ownership) and Recover access to the file entry. Just right click over the files you want and Windows 7 will allow you to access the files. In addition, we have added a registry file to remove this command and entry from regedit and a text file too. This Article Has Been Shared 209 Times! This is tutorial to guide you, how to create a folder in Windows 7, that can only be used by the author or user; to others the folder will be locked. When you insert an USB memory device as a USB pen drive or external hard drive, Windows 7 automatically detects it. If you do not want anyone using the machine to use data stored on a USB device, there is a way to disable USB storage recognition. (Ready made Registry files also available for download). Eject CD DVD CD DVD or blue ray disk from right click context menu or just by a shortcut in Windows 7. No software installation is required. Cite this article as: Abhishek Ghosh, "Solution for Windows 7 is not allowing access to owner’s own file," in The Customize Windows, December 14, 2010, April 25, 2019, https://thecustomizewindows.com/2010/12/solution-for-windows-7-is-not-allowing-access-to-owners-own-file/.